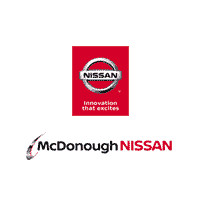 McDonough Nissan is the premier Nissan dealer of McDonough, GA. We have a brand new showroom and top-notch facilities where we offer our shoppers a comfortable environment to check out our inventory. Our Atlanta area dealership is full of Nissan experts who are committed to satisfying our customers’ inquiries and automotive needs… But enough about us! Browse our online inventory, apply for financing, or schedule service!